Strike up a conversation with anyone who loves fashion, and they will tell you that the approaching shift from one season to another is quite possibly the most exciting time for their wardrobes. The need to evaluate trends that are slowly dying versus ones that are on the up-and-up is ever-pressing, and the wish lists of must-have fall pieces begin to stack up. If you ever have the urge to update your style aesthetic, that time would be at the beginning of a seasonal shift, as you contemplate the latest trends and figure out which ones are the best fit for your lifestyle. 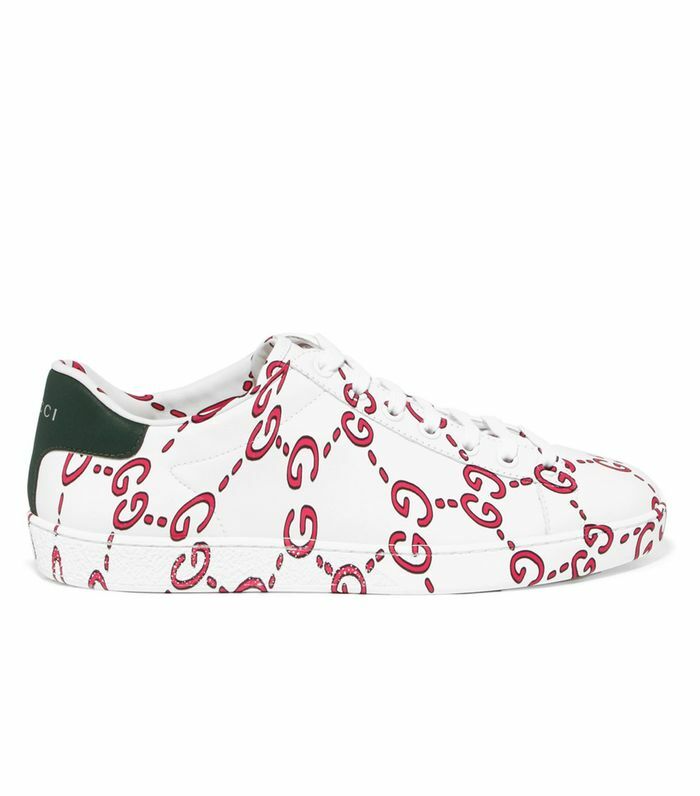 While there are dozens of fall 2018 trends we could gush about, today we are here to discuss one we have a feeling you'll particularly love—sneaker trends. Footwear has reached a place where comfort is of utmost importance, meaning sneakers are getting churned out in styles we never thought would stick. So what's going to be the talk of the sneaker world come this fall? Apparently, the answer is a fresh trend called "new-age" sneakers. Elizabeth von der Goltz, the global buying director of Net-a-Porter, told us, "For F/W 18, we saw each designer take on the new-age sneaker in their own way, from Gucci's logo-heavy and crystal-embellished boot hybrid to Stella McCartney's pared-back bright white version that walked the menswear catwalk with loose tailoring. We loved this so much that we asked Stella to make them for women, which we will be pre-launching exclusively in July." You know that if Net-a-Porter is buying heavily into this new-age sneaker trend that fashion girls all over the world will be sporting the style in no time at all. Ahead we had Net-a-Porter break down this fall sneaker trend into six different micro-trends so you can decipher which new-age sneaker is right for you. Ready to do some fresh fall sole shopping? Tired of calling your "dad sneakers" by that name? We are too, and thanks to the geniuses at Net-a-Porter, the trend is taking on a fresh name and identity. Introducing, the "sole purpose" sneaker trend—a more futuristic take on the dad/ugly/chunky sneaker trend you're so used to. We saw the rise of sock sneakers a few seasons back, but this fall, the style is ready to take the throne once again. This season, pair the trend with tailored separates versus sweatpants for a more playful take on this easy-to-wear sneaker style. It's not quite a pair of sock sneakers, but it's not quite a more luxe version of slip-on Vans—it's laceless sneaks, and the style couldn't feel more forward if it tried. When all of the heavy hitters in the industry are designing sneakers sans laces that look like they belong in a spaceship of some sort, it's time to take note and add to cart. Whether you're literally running around town or aren't into all the hullabaloo of sneakers called "sole purpose," this trend is here for you. Throw these on with everything from a head-to-toe athleisure ensemble or with a floral midi dress. When it comes to this trend, comfort is the star player. Sneakers can be pretty, and it's okay to want that. If futuristic slip-ons and chunky soles aren't your jam, opt for a more classic (ish) style with a hint of glamour. All your fall sweaters and coats will thank you. Next up, shop the best slow-fashion new arrivals on the internet right now.